On February 23, Russia celebrates Defender of the Fatherland Day, a holiday widely celebrated and admired among young and old alike. Find out more about the holiday and how it’s celebrated. The history of this day goes back to 1922, when the Soviet leadership proposed to commemorate the fourth anniversary of the creation of the Red Army and the Red Navy. Although the decree on the organization of the two military branches was signed in January of 1918, it wasn't until February 23 when the first mass conscription of soldiers and volunteers began. The day was officially named Red Army Day. The Red Army won the Russian Civil War against the White Movement, anti-Communist forces opposing the Great October Socialist Revolution of 1917, and later became known as the core of the Soviet Armed Forces. 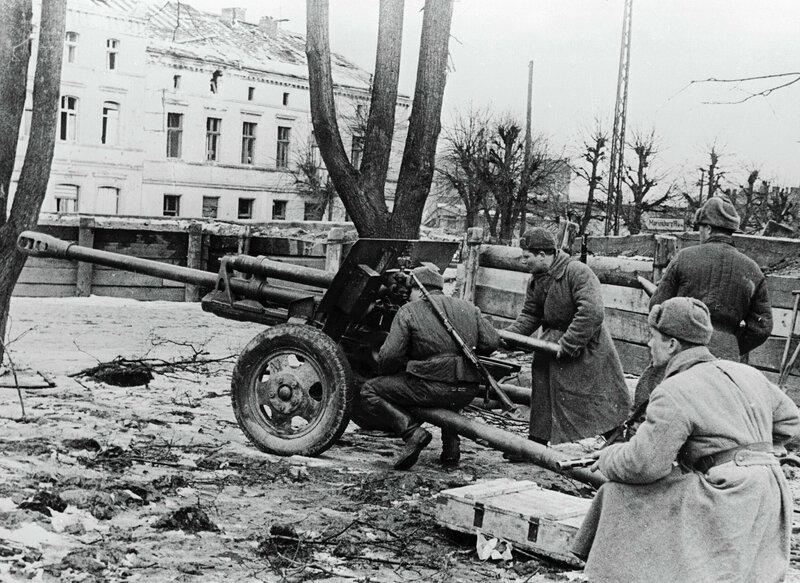 After the victory in the Great Patriotic War, the holiday's name was changed to Soviet Army and Navy Day in 1949. Following the fall of the Soviet Union, February 23 got its current name — Defender of the Fatherland Day. Although the holiday was meant primarily as a tribute to war veterans and servicemen, February 23 is widely considered as Men's Day due to mandatory military service for all males. But in reality one doesn't need to serve in the army to celebrate the holiday, because the idea is that all men would stand up and defend their country when the time comes. What usually happens is wives congratulate their husbands and give small presents. And at work women typically give small gifts to their male colleagues. Even little girls in schools give presents to boys they know. February 23, 2016. 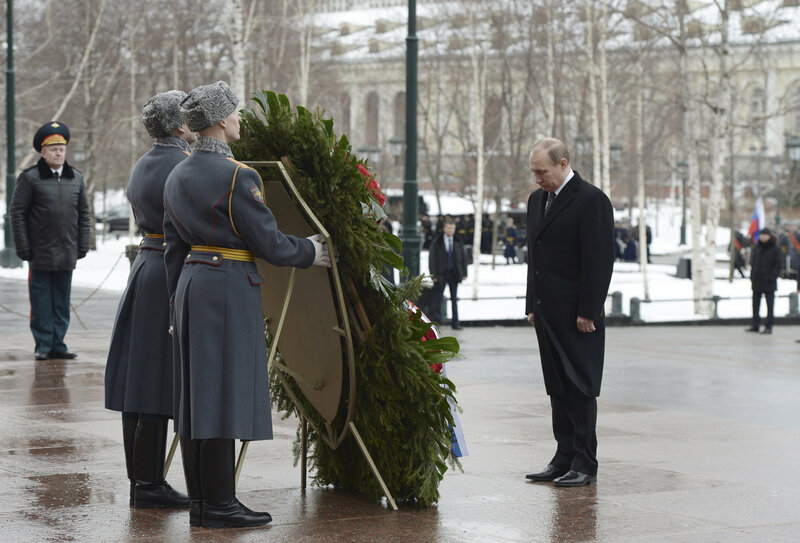 President Vladimir Putin, right, during the wreath-laying ceremony at the Tomb of the Unknown Soldier on the Defender of the Fatherland Day. February 23 is a government holiday. There are fireworks salutes and concerts organized in many cities across Russia, while the president, accompanied by top military officials, holds a ceremony beside the Kremlin. The holiday is celebrated not only in Russia, but also in other former Soviet republics. Until recently Ukraine was one of them, but following the Maidan Revolution the new government in Kiev decided to cancel the holiday in an attempt to cut all socio-cultural ties with the Soviet past. Despite Ukrainian President Petro Poroshenko's order, the Donetsk and Lugansk People's Republics, the self-proclaimed independent regions in Eastern Ukraine, continue to celebrate the old holiday.